Did not yet decide where to go on a vacation this year? Well Florida is always a great choice and with the beach suites in Fort Myers under $100 per night our deal hunters brought you, you can take your family on a perfect beach and sun getaway. Escape to Lighthouse Resort Inn and Suites on Fort Myers‘ beautiful Estero Island and enjoy miles of sandy beaches from $82 per night – plus taxes and fees. If you book your beach suit by the 4th of, you can get these discounted rates from now throughout June. 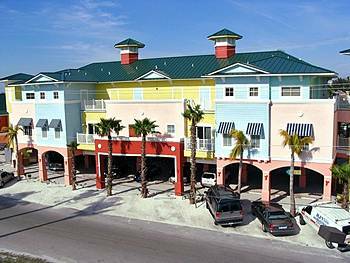 Use the search box to compare prices for Fort Myers beach suites, but don’t forget to select Travelocity among other providers as that is where our deal hunters found this offer. Lighthouse Resort Inn and Suites is a 3 star resort located just about 200 meters from the beach, you have to walk some 3 minutes to get there. The hotel has got a pool as well as a Poolside Tiki Bar & Grill, they provide live entertainment every night and you can also dance in the club. It is one of the best inns in the area and less than $100 per night it is an ideal place to stay for families on a budget, but not exclusively. Visit Fort Myers and you can book from $82 a night throughout all April and from only a little more in May and June. This entry was posted on Tuesday, March 26th, 2013 at 4:58 am and is filed under Hotel Deals. You can follow any responses to this entry through the RSS 2.0 feed. You can leave a response, or trackback from your own site.